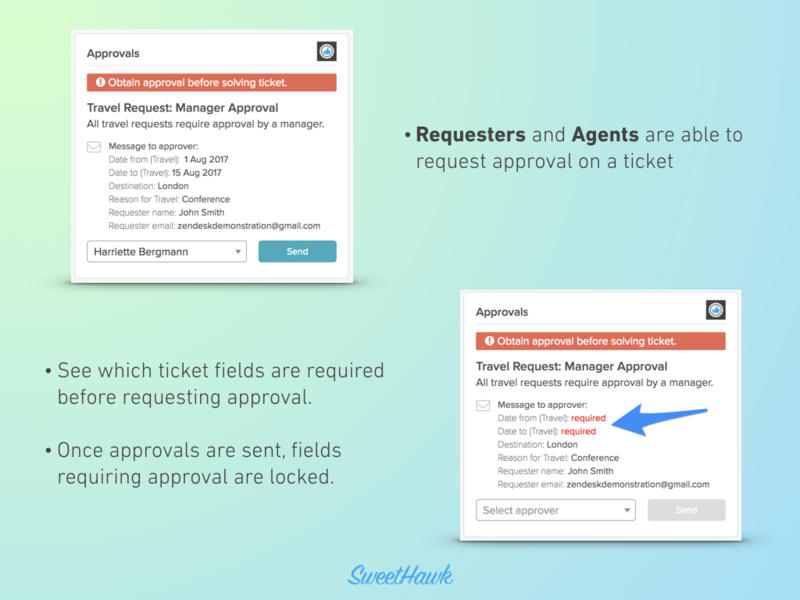 Makes it super easy for users to request approvals and approvers to grant them, all while keeping things water tight! 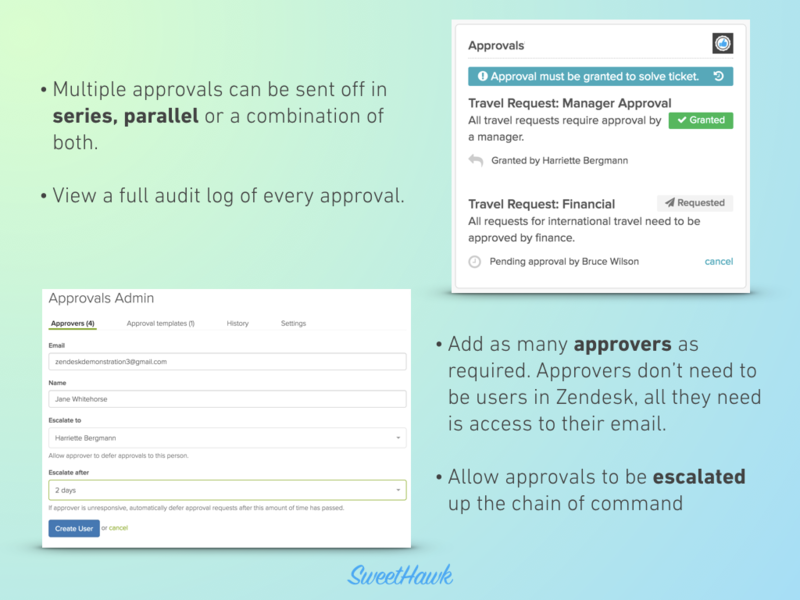 Ability to define unlimited approvers who don’t need to be users in Zendesk. All they need is access to their email. 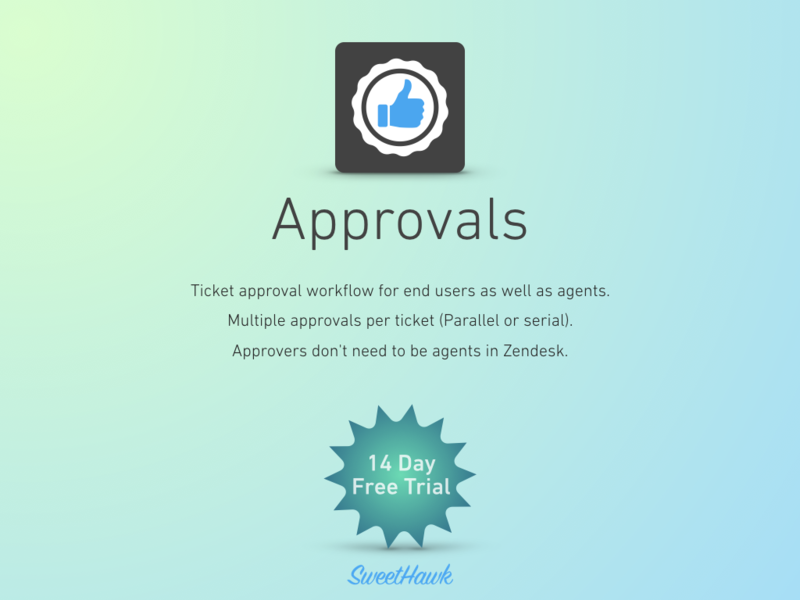 Choose if approvals will be sent manually by agents and/or if they’ll be sent automatically via triggers. Multiple approvals can be sent off in series, parallel or a combination of both. Ability to map managers to approvals based on who the requester is. Ticket field locking functionality for information submitted for approval. Full historical views for both approvers and agents. Ability to escalate approvals up the chain of command. For more information on how to use the Approvals app, check out our knowledge base articles. To activate your 14 day free trial, after clicking "Buy", enter your payment information as normal. We won't charge your card until the end of your trial. Once installed, as an admin, open the app in the left hand bar (1) to enable it (2). See this article for full install instructions.